I had a great start to my week this week. I was given the best Valentine’s Day present to date! Yes, yes, I know that Valentines is a money-making, Westernised idea, so we have a slightly different take on Valentine’s Day in our home. A while back when we were still dating, we decided to use the day as a reminder to be more romantic and spontaneous. This means that we don’t go out for an expensive meal or buy each other red roses. But we both make an effort to make sure the other person feels loved and appreciated, and we take that day to do something romantic together. This year I win, and I can’t even claim it… We were given tickets to Valentines Under The Stars, a musical feast hosted by Opulent Living. Arriving at the event, we knew we were in for something special from the beautiful stage and seating set up in The Square at the newly completed Century City Conference Centre and Hotel. 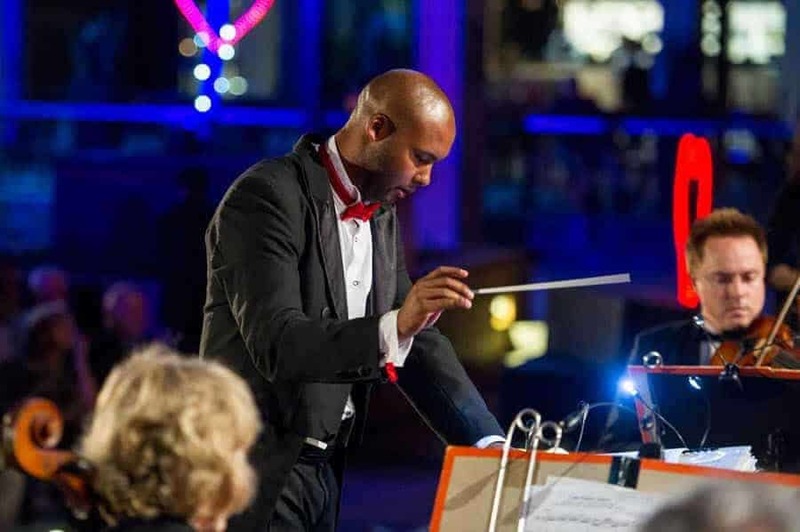 The open air concert was a collaboration between the Cape Town Philharmonic Orchestra and some of South Africa’s favourite singing stars. 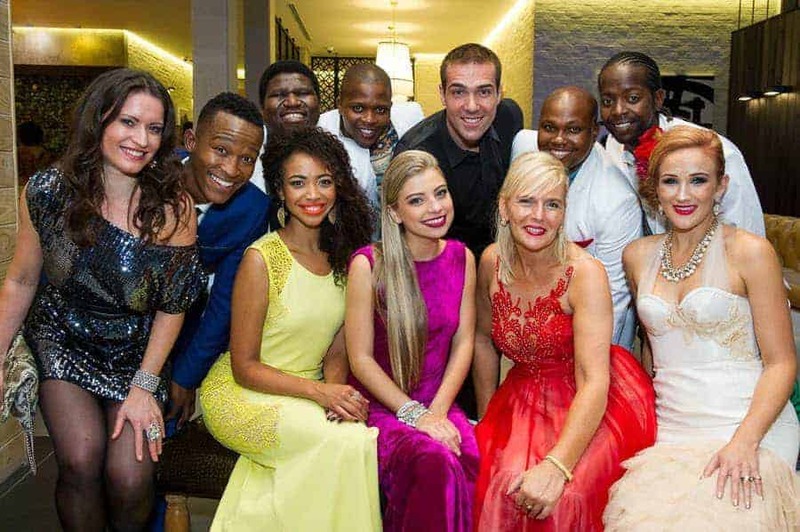 The talented performers came together in a pop-meets-classic concert that was just beautiful. 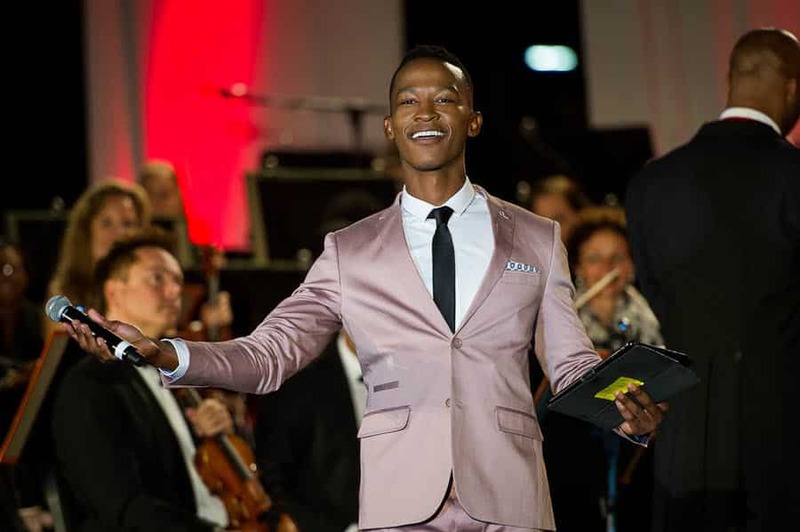 With the performances woven together by the hugely talented Katlego Maboe (who has a pitch perfect, gorgeous voice) and the dynamic orchestra, the show was polished and utterly romantic. The weather played it’s part, the music was beautiful and we loved the opportunity to recapture a little bit of that romantic feeling. Visit https://www.valentinestars.co.za for more information.